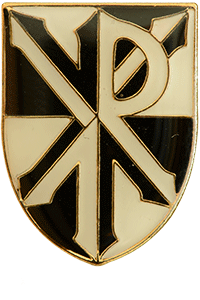 The SSPX also encourages and organizes groups of zealous men and women around specific apostolic goals. These groups engage in a wide variety of activities, ranging from care of the sick and feeding the poor to prayer crusades to public profession of the rights of God. The Archconfraternity of St. Stephen is a guild established for the instruction and sanctification of altar servers. A platform for a number of SSPX missions and other bodies supporting the SSPX in areas where local funding is hard to come by as a result of poverty or unfavourable circumstances. The Eucharistic Crusade is a Church organisation for children (7 to 15 years). Its primary purpose is to encourage children to pray for their own sanctification and for the needs of the Catholic Church. A group of active youth whose goal is the restoration of the social kingship of Our Lord Jesus Christ: firstly in our hearts and secondly in the hearts of others and society as a whole.